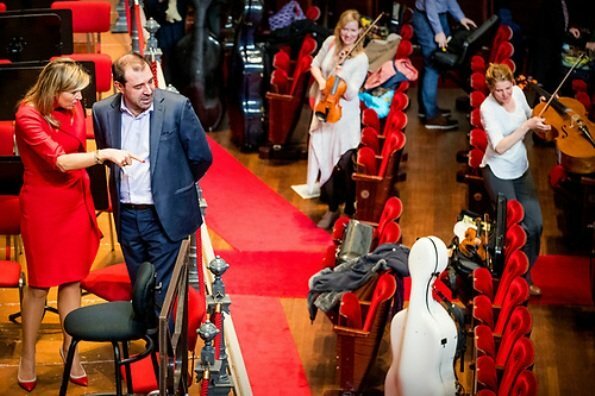 On April 10, 2018, Queen Maxima of The Netherlands visited the Royal Concertgebouw Orchestra (Koninklijk Concertgebouworkest) in Amsterdam, The Netherlands. 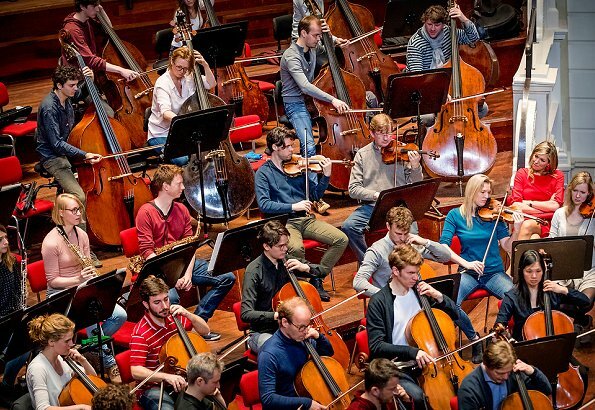 The Royal Concertgebouw Orchestra is a symphony orchestra from the Netherlands. In 1988, Queen Beatrix conferred the 'Royal' title upon the orchestra. Queen Maxima is the patron of the royal orchestra, and its ambassador in the international community. She is sunshine! Great dress and shoes, earings aren't quiet my choice but they look nice on her. Strange ruffle across the dress. Becoming colour for her. Love the shoes!